—The grandeur of Chile’s mountains, coastline, and spirit are reflected through design, adventure, and indulgence. The skatepark and climbing boulder at the hotel’s entrance, the three big, colorful surfboards in the lobby, the small in-hotel Patagonia store, and the view from every guestroom window all attest to the inspiration behind Hotel Alaia, on the Chile’s Punta de Lobos peninsula. 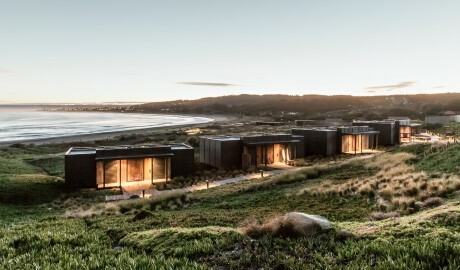 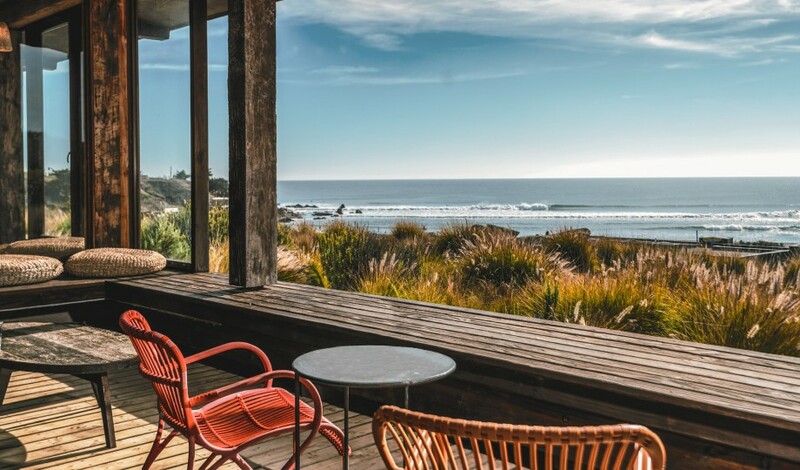 The 12-suite property puts guests just moments from one of the country’s top surf spots—a picturesque stretch of coastline and natural wonder in itself—as well as being a celebration of all things Chilean. 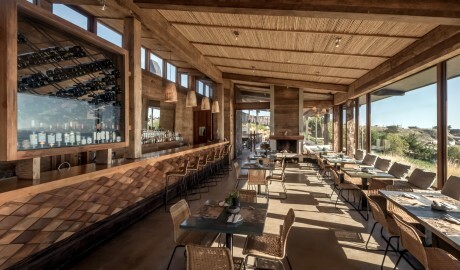 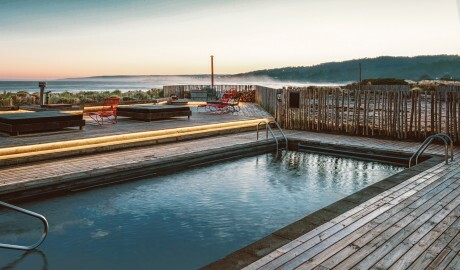 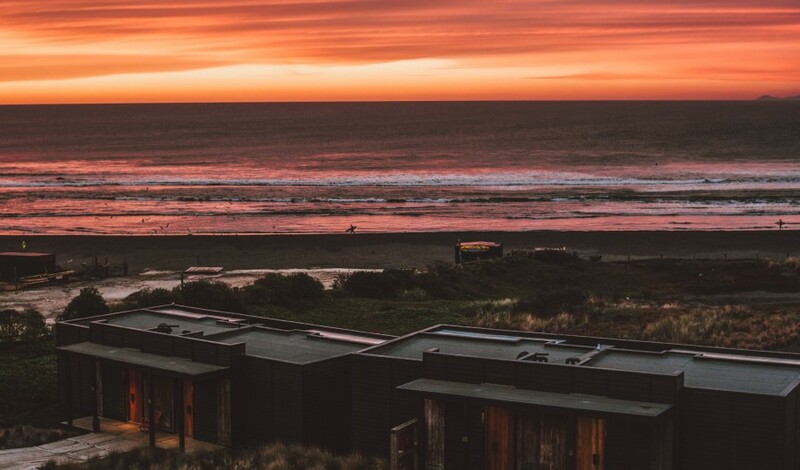 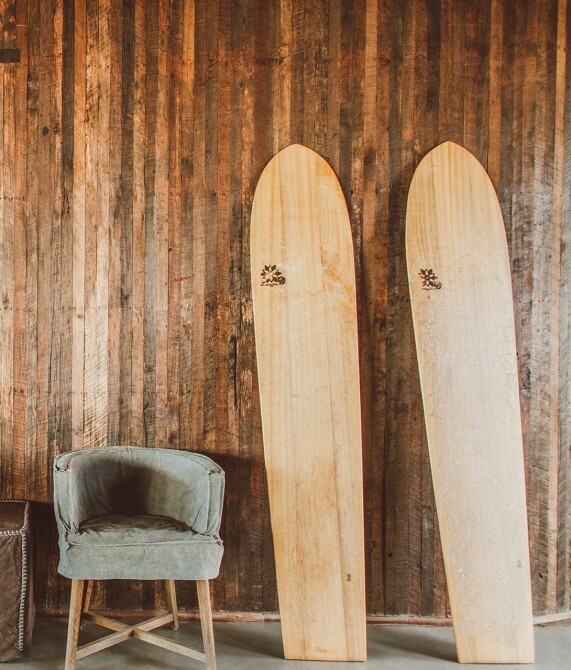 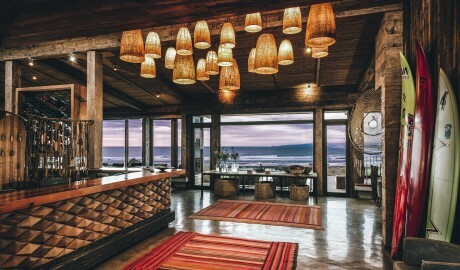 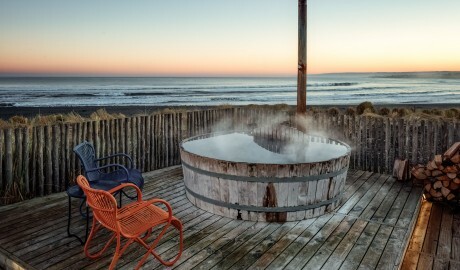 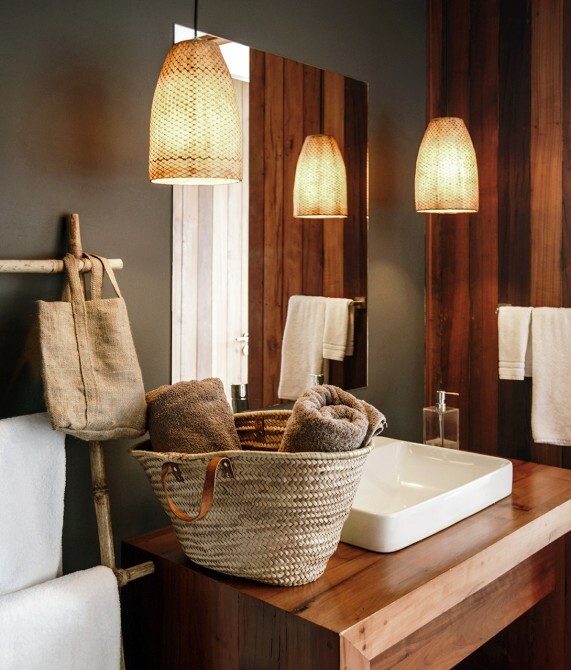 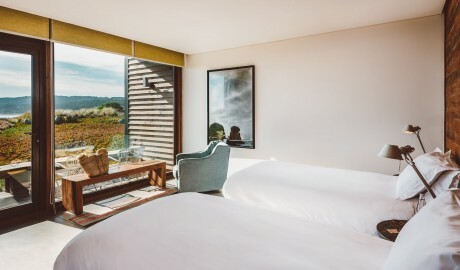 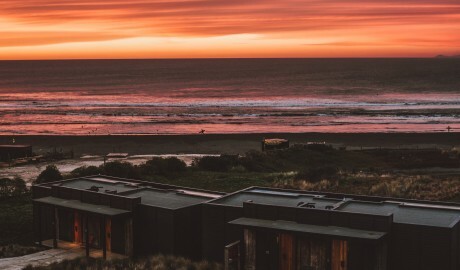 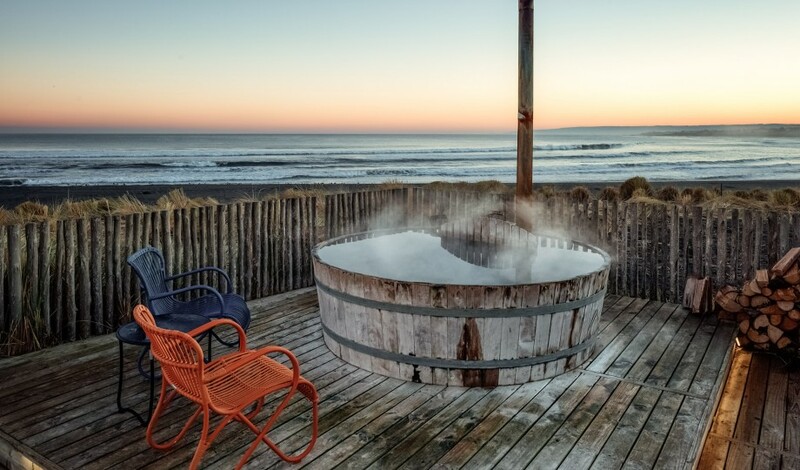 A design-led exemplar of adventurous hospitality and environmental sustainability, Hotel Alaia is housed inside low-lying minimalist structures made of native woods, black rock, and materials upcycled after the 2010 earthquake, while the interiors are a showcase of rough wood paneling; surfing paraphernalia and photography; as well as furniture, artwork, and sculptures by local talents. 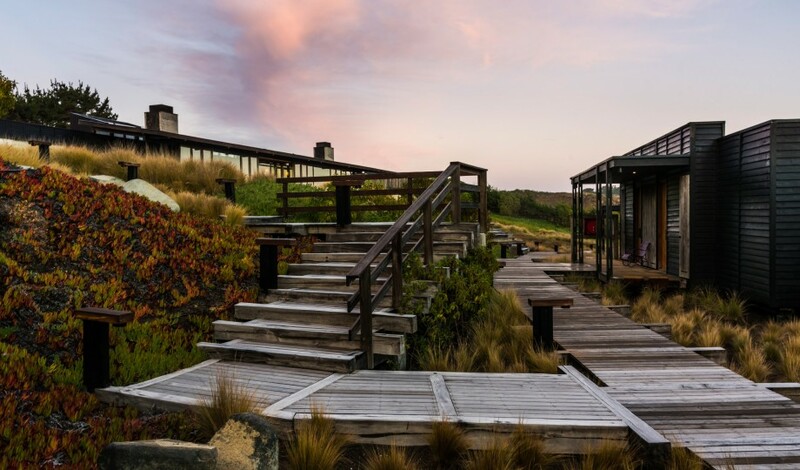 After a day of rock-climbing, biking, or simply enjoying the coastline’s hidden wonders, you can indulge in organic seafood dishes and top wines from the Colchagua Valley in the hotel’s welcoming restaurant. 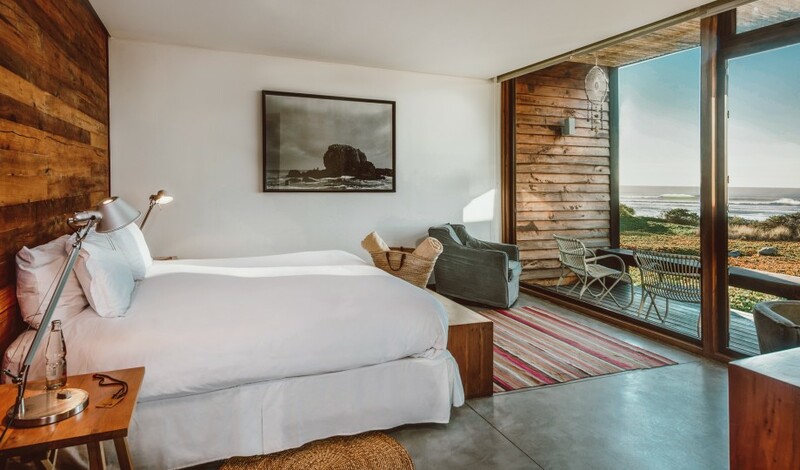 The 12 suites all overlook the ocean and span 35 square meters. All feature king-size beds, with the Double Room giving the option of twin beds and the Triple Room also playing host to a rollaway bed. 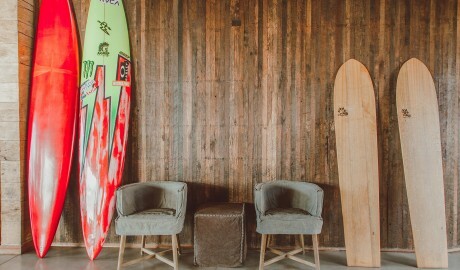 A love of surfing is referenced throughout, while artwork from local talent points towards this hotel’s deep connection to the neighborhood. 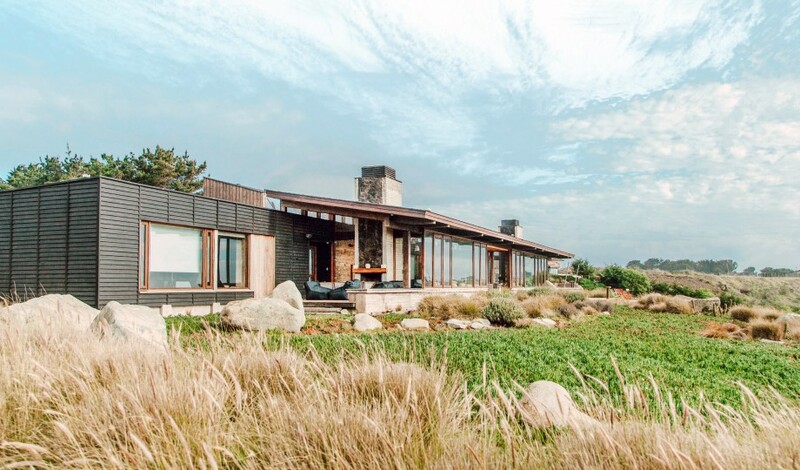 Rock chimneys, a panoramic lobby, and an endless tapestry of native woods and black rock characterize this low-impact, future-friendly property. 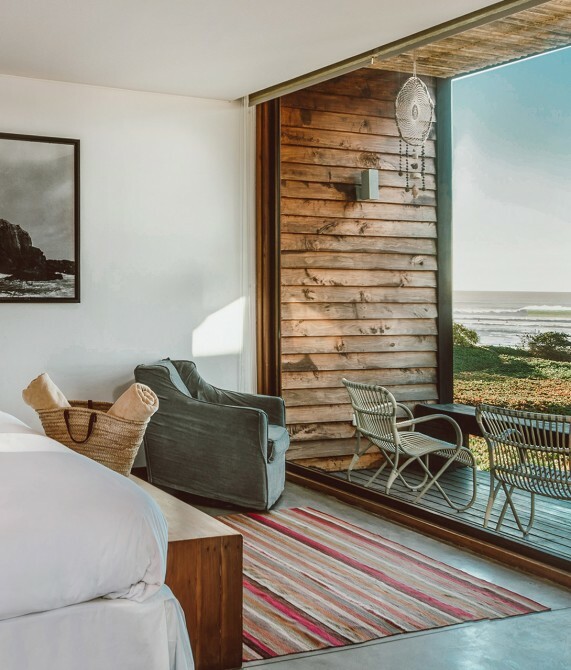 Sofia Claro and Juan Pablo Alvarez came to Punta de Lobos in search of two things: serenity and surf. 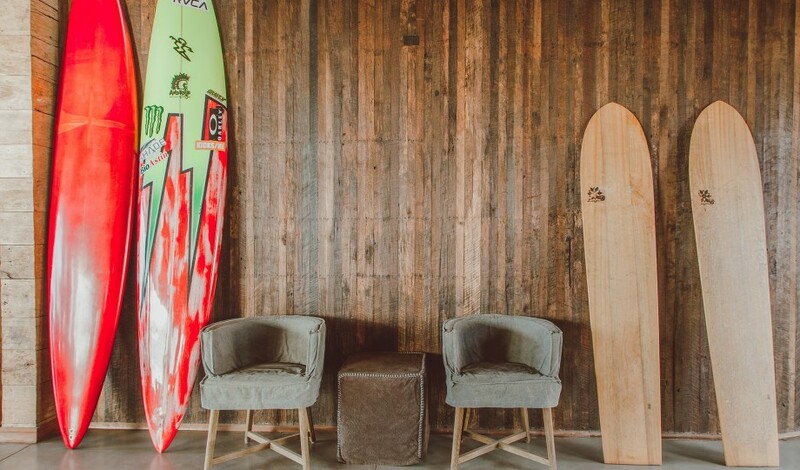 After leaving their home city of Santiago, the couple decided to put their degrees in tourism and business to good use by taking one of Chile’s top surfing spots and framing it for the rest of the world. 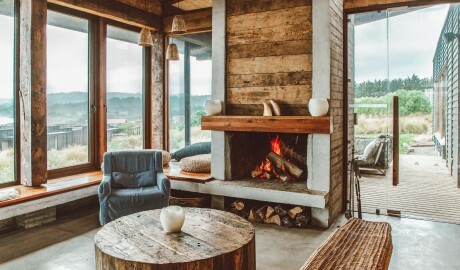 Claro also focuses on enhancing local communities and traditions through tourism, while both stress the importance of environmental sustainability. “We believe nature is the most important thing in the world. 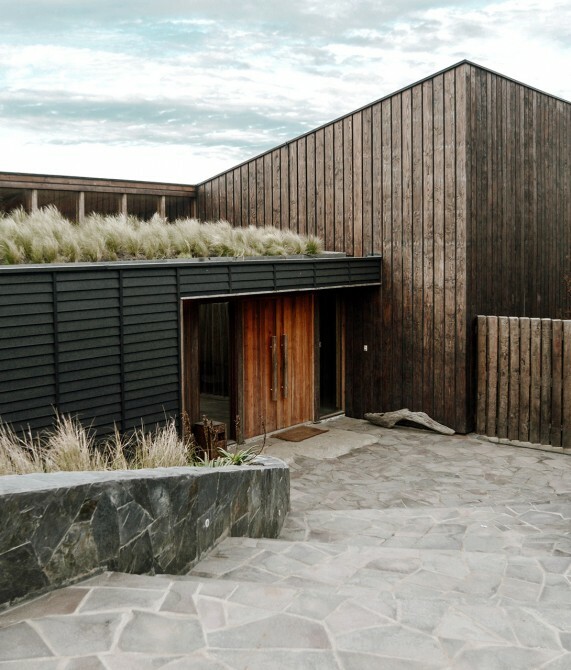 We have to learn from it and respect it,” exclaims Juan Pablo Alvarez. 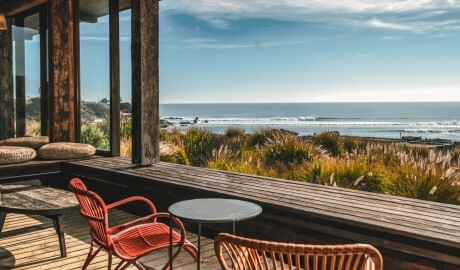 The Punta de Lobos peninsula, in Chile’s Pichilemu commune, is a postcard-perfect image of dramatic cliffs, blue lagoons, and endless sea views.